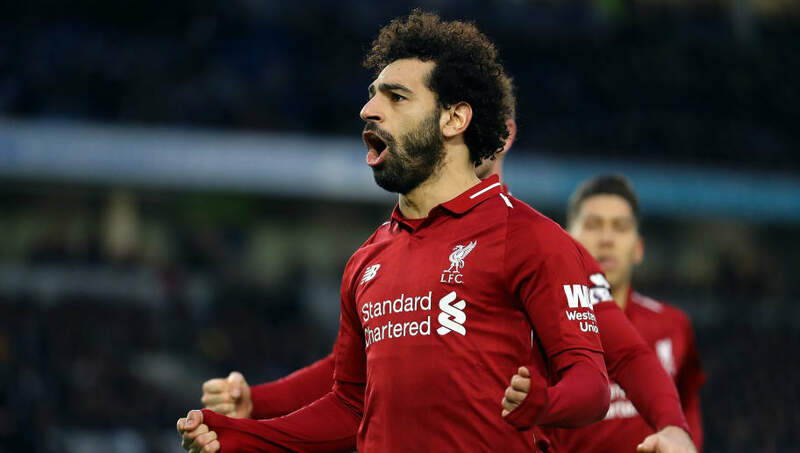 ​The meteoric rise of Liverpool's Mohamed Salah continued in earnest on Saturday afternoon, as the Egyptian sensation bagged his 50th Premier League goal in a 4-3 Premier League win over Crystal Palace. The tenacious forward's achievement saw him join an elite group of footballers - the five fastest players to reach 50 Premier League goals. The former Roma man is certainly in good company, with Alan Shearer, Sergio Aguero, Fernando Torres and Ruud van Nistelrooy's formidable finishing also affording them a spot in the top five. ​Salah's fiftieth ​Premier League goal saw him add another milestone achievement to his career - becoming the second fastest Premier League player to reach the half century. The 26-year-old's two league goals for ​Chelsea and 48 for ​Liverpool took a combined total of 5374 minutes, putting him narrowly behind current leader Alan Shearer who did it in just 5337 minutes. Breaking down Salah's stats into some tasty, bitesized chunks, the player bagged 41 of his 50 goals with his left foot, seven with the right and even managed to score a couple of headers despite his relatively limited stature. It took the player 241 shots to reach the milestone, which saw him hit the woodwork on four occasions and rack up a shot accuracy of 46%. In other news, ​Live​rpool manager Jürgen Klopp has revealed he has no intention of strengthening his squad in the January transfer window, despite his defensive falling victim to an injury crisis. Joe Gomez, Trent Alexander-Arnold and Dejan Lovren are currently sidelined with injury, but Klopp confirmed he would use existing options from within to deal with the issue.